Known for warm, brilliant waters and picturesque towns, Athens and the islands of Greece offer a lifetime’s worth of discovery. Explore different locales, or acquaint yourself with just one. Friendly smiles and fresh seafood are in abundant supply. 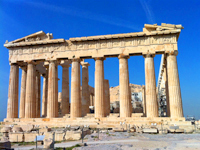 Tour the Acropolis, charming Plaka District and the Temple of Poseidon on this adventure into the past. Explore the Temple of Olympian Zeus, Hadrian’s Arch and the Theater of Dionyssos. See the Ancient Agora, the hub of the city from the sixth century BC. White-washed houses rest on cliffs above the azure waters of the Aegean Sea. In Fira, visit a museum housing life-size copies of all the frescoes found in the prehistoric site of Akrotiri, where you may look across the island from the edge of the caldera. In Heraklion, visit the Archaeological Museum and the Palace of Knossos that belonged to King Minos and was the center of the Minoan civilization. Explore the the village of Kritsa, renowned for its traditional weaving, and the famous church of Panagia Kera with its beautiful frescoes. Mykonos is one of the most cosmopolitan islands in Greece. It is known for its diverse nightlife with a generous selection of restaurants, cafes and bars. 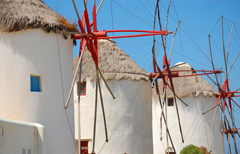 The windmills are one of the most recognized landmarks of Mykonos, since the 16th century. 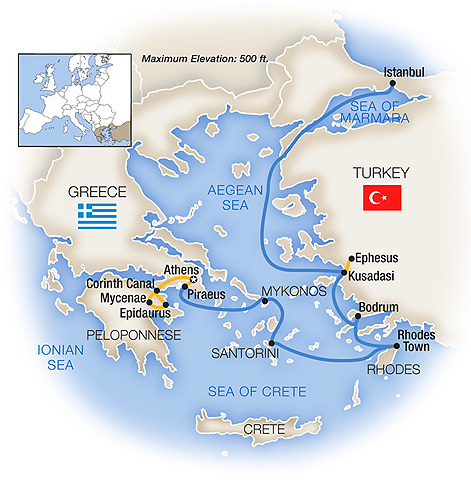 Explore the Aegean from Athens to Istanbul aboard a motor-sailing yacht that hosts just 148 guests. 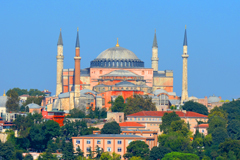 See the best of the ancient world, from the Parthenon to the Blue Mosque, plus museums brimming with art and other treasures. 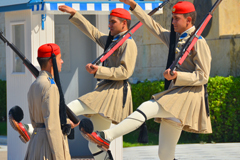 Explore UNESCO World Heritage Sites including the Acropolis in Athens, Mycenae, Delos and the ancient city of Rhodes, where you’ll enjoy a special Greek dinner with folkloric entertainment. Examine ancient ruins in legendary Ephesus, stroll the atmospheric town of Fira, and explore Istanbul’s historic district, the Spice Bazaar and ornate palaces and mosques. Your Turkey and Greek Island cruise begins 6:00 p.m., Hotel Grande Bretagne, Athens, Greece. A transfer is included from Athens International Airport to Hotel Grande Bretagne. Meet fellow travelers at the welcome cocktail reception and dinner. In the quiet early morning, before the crowds, visit the Acropolis; this is the site of four of the greatest masterpieces of classical Greek art – the Parthenon, the Propylaea, the Erechtheum, and the Temple of Athena Nike. 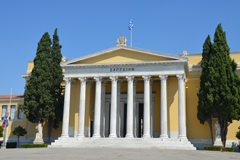 See one of the world’s best collections of ancient Greek art and artifacts at the National Archaeological Museum of Athens. Enjoy a free afternoon to explore as you please; this cosmopolitan city artfully blends history with daily life along a unique promenade that is lined on one side by classic Greek antiquities and modern-day cafés, with renovated mansions and art galleries on the other! Take an excursion from Athens to Mycenae, a fortified citadel first settled in 3,000 BC. A UNESCO World Heritage Site that’s home to a noted archaeological site where on a walking tour you’ll see the imposing Lion’s Gate, and the tomb of Agamemnon, the leader of the Greeks against the Trojans. After lunch at a local winery, continue on to Epidaurus to discover its ancient ruins. See the well-preserved Theatre of Epidaurus, built in the 4th century BC and known for its remarkable acoustics, which enable the voice of someone speaking from the stage to easily reach some 15,000 spectators; it is still used for performances today. Begin your day with a guided tour of the new Acropolis Museum in Athens, which opened to the public in 2009. Designed to house every artifact found on the archaeological site of the Acropolis of Athens – the rock above the city on which the ancient Parthenon sits, and which you visited on day 2 – the new museum occupies the archaeological site of Makrygianni; its collection comprises nearly 4,000 objects, exhibited over an area of 14,000 square meters. After lunch, you’ll board Wind Star at Piraeus, as the Aegean cruise portion of your Turkey and Greek Island cruise begins. 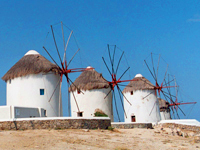 Your port-of-call today is the glamorous Greek island of Mykonos. Take a boat to the tiny island of Delos, the mythological birthplace of Apollo and a UNESCO World Heritage Site. 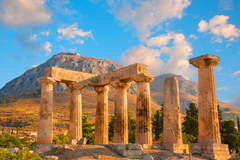 This religious pilgrimage destination features sacred temples, sanctuaries, theaters, and shrines to the gods, and is one of the most important archaeological sites in Greece. Spend the afternoon in Mykonos, known for leather goods and jewelry. Rise early to observe the ship’s arrival at the island of Santorini. 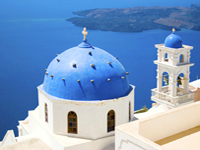 Travel ashore by motor launch for an island tour that takes you to Oia and up to Fira, Santorini’s capital city. Iconic images of Fira’s blue-domed buildings combine with stunning views of the port to offer picture-perfect memories of this beautiful island; see them by cable car, donkey or on foot as you make your way back down to Athinios Port. The ship offers tender service until it sets sail, giving you the opportunity to explore at leisure as your Greek Island cruise continues. Rhodes basks in sunshine for more than 300 days a year. Take a guided tour of Rhodes’ medieval Old Town – there are about 200 lanes in this Hellenistic city that lead to columned ruins, temples and cobblestone streets dating back to the second century. 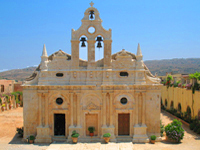 Visit the Palace of the Grand Masters; first built by the Knights of Rhodes, this palace was destroyed in the mid-1800s and reconstructed in the 1930s in a medieval style. Enjoy some free time to explore on your own this afternoon, then attend a special dinner in ancient Rhodes, complete with a performance in Greek folkloric traditions. Chart a course to Bodrum, Turkey, where whitewashed stucco houses dressed in bougainvillea line the hillsides and twin harbors welcome seafaring travelers. Visit St. Peter’s Castle on an informative guided tour, including the reconstructed shipwrecks of its Museum of Underwater Archaeology. See the remains of the ancient city of Halicarnassus, including the ruins of one of the Seven Wonders of the Ancient World – the Mausoleum of Halicarnassus, tomb of King Mausolus of Caria, completed in 350 BC. Spend the afternoon as you wish in town. Tonight’s shipboard entertainment includes belly dancing! Cast anchor in Kusadasi for an excursion to Ephesus, revealing important vestiges of an ancient Roman civilization; in its heyday, marble lined the streets, fountains flowed, and an eternal flame burned upon a sacred altar. 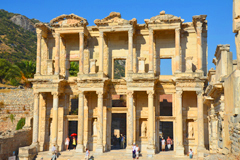 Take a walking tour of the ancient city, seeing the Odeon, Temple of Hadrian, Trajan’s Fountain, the Arcadian Way and the two-tiered Library of Celsus. Have lunch and a carpet demonstration in a village outside of Kusadasi. Today is a day of inspiration as your Aegean and Greek Island cruise continues with a full day’s sail. During a relaxing day at sea, you are free to experience the amenities and activities aboard. Perhaps you will challenge a shipmate to a board game on deck, take a refreshing swim in the pool, get in a workout in the fitness center, catch up with your reading in the library, or relax in the hot tub… it’s all up to you! 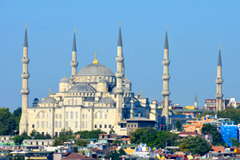 Disembark in the ancient city of Istanbul, the center of Turkish history and culture, for a three-night stay. Begin the day with a visit to exotic Topkapi Palace, residence of the sultans and the seat of power for the Ottoman Empire for 400 years; during your tour, you’ll see the legendary “Harem,” along with religious relics and other priceless treasures within the palace’s museums. You’ll also visit the colorful Spice Bazaar and Sehzade Kulliyesi, an ornate 16th-century Ottoman imperial mosque complex. Your guided sightseeing in amazing Istanbul continues with a visit to the vast underground Basilica Cistern and one of the world’s true architectural gems – beautiful Hagia Sophia, a Byzantine masterpiece; first constructed in 537 AD and destroyed, rebuilt and modified throughout the centuries, this cathedral reigned for almost 1,000 years as the largest Christian church in the world, then became a mosque, and is now a Turkish national museum. Enjoy an afternoon cruise along the Bosphorus before time at leisure to explore the sights on your own. This morning in Istanbul you’ll visit the Blue Mosque, named for the thousands of blue tiles that adorn its interior, and the Hippodrome, in the center of the city when it was called Constantinople, capital of the Byzantine empire. Stroll through some of the 4,000 shops in the vast Grand Bazaar, a kaleidoscope of colorful Turkish traditions dating back to the 15th century, and spend time this afternoon exploring as you wish. Fly home anytime from Istanbul Ataturk Airport, or extend your vacation if you wish.